Originally, the title of this post was going to be “How to… Stay Pure as a Young Person,” but then my 13-year-old son studied Psalm 119:9-16 and said, “This really applies to everyone, not just young people.” So, in the amazing wisdom that God gives through children, let’s talk about a lifetime of purity. First, what do we mean by purity? Purity means to be free from guilt or evil, to be innocent. It can also mean stainless or whiteness. Spiritually, this means that regardless of our sins and the stains they created in our lives, “we can become as white as snow” (Isaiah 1:18). Second, how do we become pure? Psalm 51:1-10 says only God can make us pure. Apart from Him we cannot claim purity (Proverbs 20:9). Matthew 5:27-30 tells us that purity begins in the heart, and John 17:17 says that purity only comes from God. 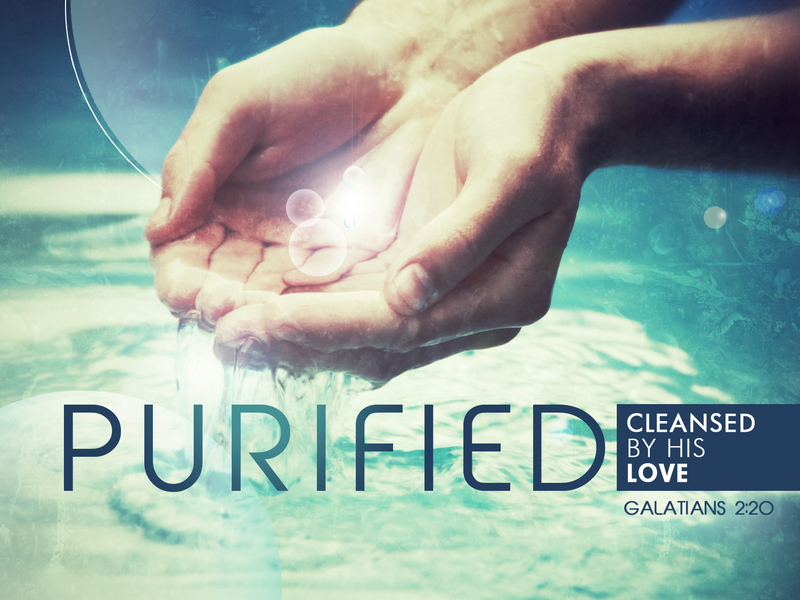 Regardless of your past, you can become pure by the cleansing power of His blood (Galatians 2:20). Finally, how do we stay pure? The scripture that began this discussion between me and my son gives us the crystal clear answer to this question: Study and obey God’s Word. My son then went beyond my request and offered these 3 basic steps for staying pure. Decide to live according to God’s Word. Fill yourself with God’s Word. Seek God in prayer each day and allow Him to live and work in your life. As a parent, I am concerned about my kids straying (wandering) in an increasingly Godless culture. I wonder if and how they can avoid the scarring mistakes of teenage stupidity that can create a lifetime of struggle with guilt. Fortunately, God’s Word says a lot about how to become and remain pure. And as a parent, I can encourage purity, pray for purity and model purity. But it turns out that my kids can do the same for me. DISCUSSION: What life lessons have you learned through your kids? This entry was posted in Uncategorized and tagged how to stay pure, psalm 119, purity, stay pure, steps to purity by admin. Bookmark the permalink. You have an awesome son Kari! At any age it is easy to slip, and his last 3 points are important for all of us if we want to live a life that shows Christ to the world, to be in the world and not of it. Tell him he did a great job! You have every reason to be proud! Thanks Mary. I do think he's pretty terrific. He reads my posts, so I'm sure he'll see your comment. Thanks again. Reading Psalm 119 is pretty enlightening. For some reason, I think we often have a very restricted view of purity – that it's all about avoiding lust, R-rated movies, parties, and drinking. But really the scriptures take a much more inclusive view of purity – one of following God through his entire word. Scripture presents a much more proactive approach to purity. Instead of just eliminating the bad, we are to add in the good. We can prevent the impurity much of the time by being proactive. I think your son did a great job Kari. I think that the list is also what you do when you have done something you regret and is impure. It allows you to return to purity with God. We all have to learn to live with regret but we should not let our regrets hamper our future and by following your son's advice we can mode a better one. You're right. This portion of scripture can be used as a sort of checklist to realign and get us back on track after we mess up. Good point! Agree with Mark–your 13 year old made a wise observation.